At Thursday’s monthly meeting, we announced our latest challenge! 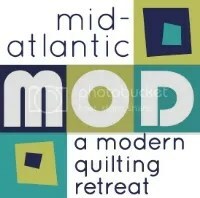 Cloud9 Fabrics has partnered with the NJMQG to show off the skills of our members as well as some new designer fabric. 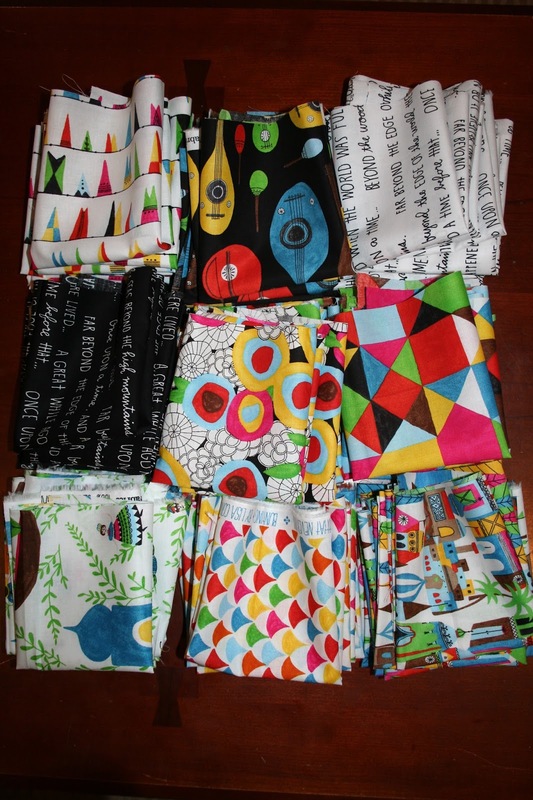 The Land That Never Was is the latest line of organic quilting cotton from Lisa Congdon for Cloud9 Fabrics. Participants in the challenge got to blindly pick three fat eighths from the collection to make into a block. They can use just the prints and Kona White to make a block that is 12.5 inches on two sides, whether length or width. They can make the other dimension as big or small as they like. Blocks are due at the September meeting on Thursday the 26th. Winners will be chosen by Michelle and Gina of Cloud9, and we will be announcing a prize from Rock Paper Scissors! All of the blocks will be collected and made into a quilt to be donated to a worthy cause. I can’t wait to see what our challenge participants do with the bold colors and imaginative characters! There’s also some great text prints. Stay tuned. P.S. We have a little bit of fabric left! Contact me at melintheattic(at)gmail.com if you’re a NJMQG member and would like to participate!